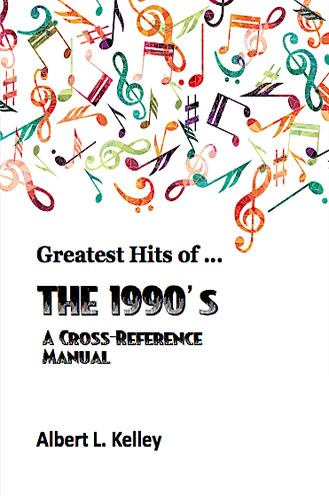 This is the fifth indispensible cross-reference manual in this series, a listing to the music of the 1990’s. This era created what some have called the best decade in music. That might be pushing it a little far, but the decade did have a lot of great songs and styles. In the rock arena, grunge came to the forefront with Nirvana leading the way, while in the urban styles, rap and hip-hop really took off and found their voice. Many singers started going by a single name and often you could not tell by the name whether it was a solo artist or a group. Collaboration became the name of the game, with many singers and groups working together. This book is not a history of music, but a reference manual. 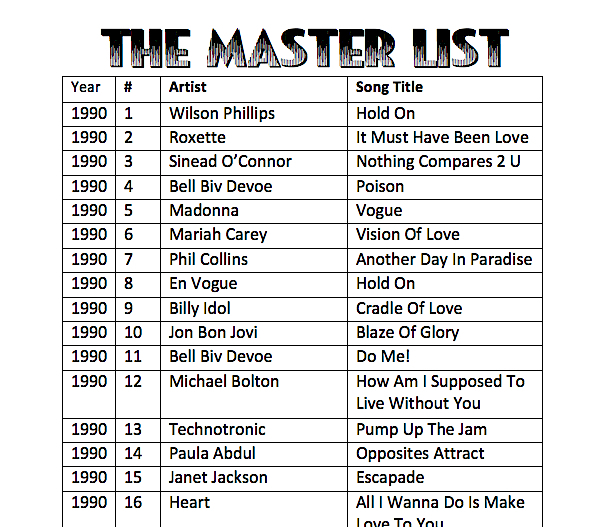 It lists the top 100 songs for each year in the 1990’s.